Cesar Campos, coordinador de las redes de reporteo ambiental en los condados Californianos de Kern y Fresno habla sobre la importancia de reportar incidentes peligrosos o nocivos para la salud. Public Health Department releases long-delayed report on pesticides near schools. In 2010, 20 percent of public school students in the most agriculturally intensive areas of Monterey County went to schools that are located within a quarter mile of carcinogenic pesticide applications. Twenty-two percent were at schools within a quarter mile of pesticides containing reproductive and developmental toxics; and 18 percent within a quarter mile of toxic air contaminants. These are among the findings in an extensive study by the California Department of Public Health on pesticide use near schools, released Friday afternoon. The release itself comes at a controversial time. Advocacy groups who had access to draft versions of the report were asked to sign non-disclosure agreements, and had been pushing for an earlier release date. Anti-pesticide advocate Paul Towers, spokesman for Pesticide Action Network, wanted it out just a day earlier, before the California Senate Agricultural Committee met Thursday. There’s no proven link between the release date and the hearing date, and CDPH officials say simply there’s been no delay. “There has never been a final release date for the report. It was ready today,” CDPH spokesman Matt Conens writes by email. The report shines a light on pesticide applications near children, who may be particularly susceptible to side effects from exposure to chemicals. It’s important to note the CDPH study doesn’t address or prove actual exposure; it looks simply at how proximate pesticide applications were to public schools. The report aims to quantify pesticides of public health concern near public schools, considering population growth on and around intensive agricultural areas. The study examined data for pesticide applications in 15 agriculture-intensive counties, looking at 2,511 schools. The study hones in on pesticides of public health concern, like known carcinogens or reproductive toxins, and found that 144 active ingredients of public health concern were applied within a quarter mile of schools. Most schools—64 percent—had no pesticides of concern applied within a quarter mile. Of the students at the schools with the most pesticide use (the top quarter), 68 percent were Hispanic. A total of 73,876 Monterey County students attended 137 schools that fell within the top 25 percent of all schools surveyed for pesticide use within a quarter mile. Monterey County students made up 13 percent of the students that fell within the top 5 percent of the pesticide applications—meaning Monterey County had the highest proportion of students in schools with the most pesticide applications near schools of all 15 counties evaluated. Toxic waste dumps. Poor air quality. And the slow death of the Salton Sea. The Eastern Coachella Valley has serious environmental problems – and now locals are getting involved. Speakers asked community members in the audience to get involved in promoting environmental justice in the valley. From left to right: Virginia Ortega, Manuela Ramirez and Maria de Anda. Workshop moderated by Arcela Nuñez and Lucy Moreno. Recently several hundred people gathered at a high school in Thermal, California at the inaugural Coachella Valley Environmental Health Leadership Summit. They listened to experts and brainstormed solutions on a variety of topics. From last year’s inaugural summit. The Inland Empire is on track to meet the state’s goal of enrolling 76,069 people from the region into plans from the Covered California insurance exchange, according to figures just released. Enrollment hit 39,474 during the first half of the sign-up period, which is 52% of the goal. A big part of the effort in the Coachella Valley is a push by local hospitals to enroll the uninsured before the deadline of March 31st. So Tenorio stopped by JFK Memorial Hospital in Indio recently to get help signing up for health insurance through the website www.CoveredCA.com. A trained navigator walked him through the process, and they discovered that Tenorio is eligible for Medi-Cal, the state’s health insurance program for the poor. Under the Affordable Care Act (ACA), California expanded the maximum income requirements to cover more people. A family can now make up to 138% of the federal poverty level and be eligible for Medi-Cal. Families making between 138% and 400% of the federal poverty level can get subsidies that apply to the insurance coverage offered on the Covered California exchange. A single person making up to $45,960 would qualify for a subsidy. Local hospitals are making a big effort to help people like Tenorio sign up for insurance, in part because hospitals have traditionally had to absorb the cost of uninsured patients who can’t pay their bills. Tenet Healthcare, which runs JFK and Desert Regional Medical Center, sponsored the workshop as part of a Tenet program called Path to Health. About 35 people signed up, and 40 did so at a similar event in Palm Springs. The hospitals also employ certified health counselors who take appointments on an ongoing basis and approach patients who come in without insurance. A guitarist plucked a folksy melody as families strolled around Irvine’s Great Park on a recent Sunday. That’s when Araceli Lopez from Lake Forest spotted the Smile Mobile, a fully equipped RV that brings dental services to locations around Orange County. She quickly volunteered her three daughters for an impromptu checkup. Only one cavity was detected — not bad, Lopez said in an interview after the visit. And it certainly beat trying to take three children under the age of 6 to a dentist’s office. “It’s easier on weekends when there’s no school,” Lopez said. Lopez’s three daughters are among the thousands of medical and dental patients in Orange County who get health-care services on mobile vans. These clinics-on-wheels have long been used across the state to improve the health of hard-to-reach populations. But experts say the mobile vans are proving valuable in the current era of managed care and the Affordable Care Act, because they can help providers establish what is known as a medical home for patients, where a single doctor or clinic manages all of their health needs. Doing so, health experts hope, will reduce hospital readmissions and shift the emphasis from medical procedures to health results. A young patient gets her teeth checked outside the Smile Mobile, a fully equipped dental van parked in Irvine’s Great Park on a recent Sunday. Photo: Caitlin Whelan/CHR. At least 10 vans in Orange County serve as mobile clinics, assigned to school parking lots, community venues and the streets of low-income neighborhoods. The vans are affiliated with hospitals and community clinics. They usually have at least two exam rooms and, with Internet access, can tap into the medical or dental records of continuing patients. Some provide specialty care, such as the Breathmobile, which treats asthma patients, as well as the two Smile Mobiles operated by the nonprofit Healthy Smiles in Garden Grove. Other medical vans dedicate certain visits to diabetes care or Coumadin management. A key reason for the vans is patient access. In Orange County, lower-income patients without cars are forced to rely on a limited bus service or favors from car-owning friends. One result can be missed appointments and patchy health care. “Basically, with the population we serve, transportation is an issue,” said John Luker, chief financial officer for the Orange County Rescue Mission, which regularly sends its medical van to underserved communities. Further, some undocumented patients prefer to stay close to home, according to Dulce Medina, director of programs and outreach at Healthy Smiles. “The population is scared sometimes to come out,” she said, noting that for many undocumented people, neighborhood schools are safe zones. Schools are also highly efficient locations for treating patients; during a single school visit, the Smile Mobile staff can perform 400 dental screenings. As many as 200 of those students come back within days of the initial visit for fillings or sealant. Another reason that mobile medical care is successful, according to Luker, is that, “Most of our patients are struggling to get by. Missing work is extremely difficult.” And some of the county’s budget-strapped community clinics can’t offer late or weekend hours, so it’s especially important to be close by and available to patients during working hours. “There are big logistical barriers to health care. Going to places where people are, such as the mobile van, is effective for at least that initial intervention,” said Anthony Wright, executive director of Health Access California in Sacramento. Medical vans are just one way that lower-income patients in California are receiving health care outside traditional doctors’ offices. Another is through “promotoras,” a Spanish word that means promoters but that, in a medical context, refers to lay people trained to educate their communities about good health practices. Latino and Asian promotoras in Orange County have taken their health campaigns house-to-house, to Latino grocery stores and even to beauty schools serving Vietnamese immigrants preparing to work in the nail-salon industry. In addition, community health organizations, such as Latino Health Access in Santa Ana, sponsor programs and classes on mental health and diabetes management. Such solutions are less expensive than doctor appointments and more culturally appropriate, Wright said. And just as lower-income patients are getting health services outside of doctors’ offices, they are also getting them increasingly from non-doctors. In Orange County, a clinic managed by nurse practitioners operates on the grounds of a Santa Ana school. AltaMed Health Services, a nonprofit provider in southern California, maintains a unique practice in Huntington Beach where patients can sit down with pharmacists to get help managing their numerous prescription medicines. Latino immigrants have long sought alternatives to doctors’ offices because 60 percent of them lack health insurance, according to David Hayes-Bautista, director for the Study of Latino Health and Culture at the School of Medicine, UCLA. Lack of access has led to buying medicines at swap meets, relying solely on teas and herbal cures and getting care at cash-only medical offices, he said. In these cases, alternative medical solutions haven’t led to long-term, consistent care. But Orange County’s medical and dental vans act as extensions of the community clinics and hospitals they represent, which means that they can serve as a patient’s medical home, that is, a single provider that coordinates care and keeps records on patients over the long term. Medical homes are a key provision of the Affordable Care Act, and providers believe the vans can play a role in establishing them. For example, care coordinators with Healthy Smiles refer the patients they treat to a dentist for long-term care and follow-up whenever possible. In other cases, specialists in Medi-Cal enrollment sometimes accompany the medical staffs of mobile vans. In addition to providing preventive services and steering patients toward a medical home, mobile medical vans can target certain populations less likely to be insured or mobile themselves. These include homeless patients and homebound seniors. The mobile medical van operated by the University of California, Irvine regularly visits assisted living homes and occasionally does house calls for incapacitated seniors. The van’s staff saw about 1,200 patients last year. One population the van has targeted is teens in underserved communities. Teens are not very reliable in showing up at doctors’ offices for appointments; they do better stopping by a mobile clinic on school grounds, according to Kate Kassuba, a clinical program manager in UC Irvine’s School of Medicine. While parents can make medical decisions for young children, “Once he’s 15 and says, ‘I’m not going,’ what are you going to do?” Kassuba said. “You can’t pick them up and throw them in the car. Hemmed in by the nation’s busiest container shipping port and highways heavy with truck traffic, surrounded by refineries, Los Angeles’ Wilmington neighborhood ranks as one of the most polluted in the state. But here, air quality regulators cite a promising statistic: Since 2000, a South Coast Air Quality Management District restriction on refineries’ open-air burning of waste fumes has reduced sulfur oxide emissions by 96 percent. SCAQMD spokesman Sam Atwood calls the district’s refinery rules the most robust in the nation. Government records also look good for Wilmington’s huge Phillips 66 refinery, where a U.S. Environmental Protection Agency database shows a 92 percent decrease in air emissions at the Wilmington facility over nine years . There, air emissions fell from 1.4 million pounds in 2004 to about 117,000 pounds in 2012. That ought to be encouraging, if you trust the numbers. But the members of the Wilmington-based Coalition for a Clean Environment do not. “From what I can tell, the refinery is the biggest problem around here,” said Wilmington resident Sarah Meafua. She said often, the sky turns black with smoke by day and orange with flame by night. Petroleum fumes reeking like rotten eggs drift through the neighborhood. And she suspects pollution from the Phillips site is undermining her family’s health. Her mother is undergoing treatment for breast cancer. Her husband has fungal meningitis, and her two young children have asthma. Likewise, some 80 percent of respondents in a recent Coalition survey said they had a lot of sickness in their households, including widespread asthma and bronchitis, as well as lymphoma and leukemia. Now, the Coalition is taking the initial steps to test the official air quality figures, to build technical skills and gather their first evidence as to what might be causing the illness. Drawing on a $10,000 grant from the state Department of Toxic Substances Control, the Coalition set up its Los Angeles Community Environmental Enforcement Network”>Los Angeles Community Environmental Enforcement Network , or LACEEN. They started by purchasing an AirBase monitoring system for $2,000. The Coalition has installed the cigar-box-sized air quality sensor on the roof of a home a stone’s throw from the refinery. The solar-powered device gathers pollution data, then posts it to the Internet in real time. A committee of community and government representatives will meet monthly to review pollution reports and regulator responses to their monitoring work. The device measures dust, nitrogen dioxide, carbon dioxide, ozone and volatile organic compounds. Los Angeles and Long Beach and the busy Harbor Freeway that passes a few hundred yards from the monitoring site. But he suspects the most likely large source for the VOCs is fuel storage tanks on the refinery grounds venting into the atmosphere, and he called the AirBase only the first step in tying local pollution to Phillips. “If these refineries are being regulated, and they have all these permits that they’re supposed to be in compliance to, why is there always black smoke? What’s the result of all those fires and explosions?” Marquez said. Marquez said the cheapest monitor capable of measuring the sulfur compounds associated with refinery emissions would have cost $20,000, far beyond his group’s means. learning about that world of science,” he said. Another benefit of starting monitoring efforts now is that it has helped to focus community attention on the refinery, Marquez said. He said the oversight committee has already forwarded 15 complaints to government investigators. In an email, Phillips spokeswoman Janet Grothe said the company works hard to reduce emissions. “Phillips 66 strives to share information with our neighbors through community meetings, gather their feedback, and create an avenue to maintain an open dialogue in the future. While Phillips 66 is in compliance with permit limits set by regulatory agencies, we have teams of people that work each day to ensure that we stay in compliance,” Grothe writes. Marquez answers that the EPA regulation Grothe cites is based in “self-reporting” data, meaning that it is derived from information provided by the refineries. In 2005, Phillips entered into a consent decree with the EPA in which it agreed to lower permit emissions limits and install continuous monitors to demonstrate compliance. But on April 15, the federal agency’s Office of the Inspector General released a report in which it found that the EPA has failed to ensure proper compliance with such decrees. While the report does not include any specific reference to the Wilmington refinery, it does cite the agency’s difficulties in checking on whether refineries are adhering to the terms of the 2005 decree. “We need to have independent verification to find out if we’re being told everything there is to know,” he said. Eventually, he plans to expand LACEEN to monitor four refineries in Wilmington and three others in Carson, Torrance and El Segundo. The Coalition’s effort draws on a monitoring approach developed by Comite Civico Del Valle, a public-interest organization based in Brawley. The Wilmington project, the first to use an air quality monitor, joins community reporting and mapping programs in the Imperial and Coachella valleys, Kern County and Fresno. The Comite’s ivanonline.org website includes links to all five projects. Another advantage to this crowdsourcing approach is that it keeps pollution in public view, Olmedo said. “One of the biggest concerns is that these reports go into government databases and they get lost,” he said. Daren Brabham, an assistant professor at the University of Southern California’s Annenberg School for Communication and Journalism and an authority on crowdsourcing, said citizen monitoring projects can sometimes become cluttered with irrelevant observations. But when the monitoring is directed, with people given clear instructions on what to look for, it can help focus regulators’ attention on community problems, Brabham said. “If three people notice something, that’s noteworthy. If 10 people are reporting the same thing, that can be persuasive.” he said. Bill Griswold, a computer science professor at the Jacobs School of Engineering at UC San Diego, put crowdsourcing to work in 2012 with CitiSense, a network of 20 air-quality monitoring devices that delivered real-time data to users’ cell phones and home computers. While regional, real-time air monitoring stations operated by air quality agencies are highly accurate, they’re widely dispersed, Griswold noted. He said CitiSense helped highlight the high variability of air quality by location. “If you look at the pollution map… on any given day for LA or San Diego, it’s all one color, which is not the reality. It’s accurate at the point of measurement, but it’s not accurate in other places,” he said. Griswold said such technology can popularize environmental health research. Off-the-shelf devices as sensitive as the ones he built now are available for around $1,500, and he expects prices to drop dramatically in coming years. “I think we can become pretty complacent as citizens to let our government take care of us, but it’s important that a level of civic action takes place and we take responsibility for our community well-being at all sorts of levels. The police can’t be solely responsible for crime prevention and air regulators can’t do everything for air quality,” he said. When Roberto Garcia’s mother asked him not to go to work on June 9, 2012, the 35-year-old tree trimmer told her the task would not take long. She never saw her son alive again. Roberto died of suffocation that day when the palm fronds he was cutting fell on him, trapping him against the palm’s trunk. Roberto’s tragic death and recommendations on how others can avoid similar incidents are the focus of a new digital story by OHB’s California Fatality Assessment and Control Evaluation program. The six-minute video shows the events that led up to Roberto’s death and what could have been done to prevent it. The video will be promoted as Workers’ Memorial Day events commemorate workers who died on the job and highlight efforts to prevent workplace deaths. Workers’ Memorial Day is April 28. The Coachella Valley Music and Arts Festival is held on a polo field lined by palm trees that are surrounded by rolling desert hills that reflect the warm sunset every evening. But a short drive from the festival is East Coachella, one of the most profitable farming regions in the nation. There, some of the richest people in the country live just a few miles from people struggling with poverty. Permanent and migrant farmworkers pick dates, strawberries and even mangos in the East Coachella Valley. But there isn’t enough housing and as a result there’s more trailer homes that have been erected than actual single-family homes. In fact, there are so many illegal trailer homes no one knows how many exist. “I was like – really? Is this California? Is this the United States? Is this the same state where Beverly Hills and Palm Springs are?,” said Eduardo Guevara, who works with Promotores Comunitarios Del Desierto, a group working on the environmental conditions in the Coachella Valley. Spending the weekends planning, designing, working, thinking, having eight hours of sleep (not daily, in the whole Friday-Sunday period), sounds kind of crazy. Driving back and forth from one county to the neighboring one, ending up at home around 6am just to have to be at work at 9, and then get out from work and repeat, sounds even more crazy. But when you start to visualize the wire-frame of the event coming together, and little by little the people committed to the project starts putting everything together, being the result bigger than the sum of all its parts, it all makes sense. The Steering Committee Core Members had been working and now the group will start working in full throttle, finishing the details of the agenda, speakers, and putting up the event’s website. The Zero Team will be soon joined by the other cells of the project and everything will start to move faster: April 1st marks the “Overdrive” phase start, and things look better and better every day. By the community , and for the community, this year’s summit is now around the corner – mark your calendars for May 24, 2014. For volunteering and sponsorship opportunities, please email Luis Olmedo at comitecivico@sbcglobal.net. See you at DMHS on May 24th! 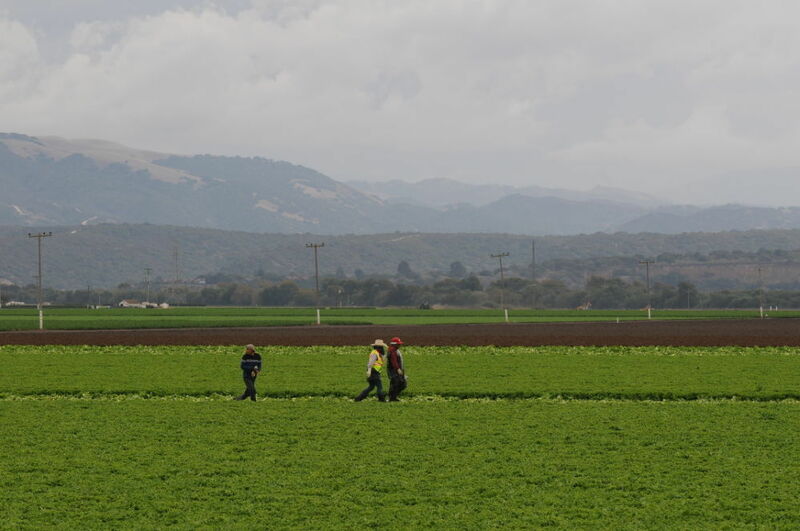 Over 8,577 farmworkers live in the community of Mecca, California. They include men who work from sunrise to sunset under scorching sun to satisfy America’s hunger for fresh fruits and vegetables; women work alongside the men in the fields while caring for their family’s every need at all times; children who go to school, laugh and play with contagious energy like all children do. What’s different about this farmworker community; however, is that every breath of fresh air they inhale, every drop of fresh clean water that quenches their thirst, every bite they take into a crunchy juicy apple, and every step they take as they walk along ancient dirt roads lined with palms is only a mirage. The community faces serious socio-economic and environmental issues including air pollution, arsenic in local water, unemployment, low educational attainment, few afterschool programs and activities for youth, limited access to professional development and training opportunities for adults, limited access to technology, and limited access to healthy food. Unity has real meaning here because people know each other. Their lives are familiar and intertwined. Good news travel quickly and bad news even faster. The majority of adults traveled from distant and faraway lands in search of work and a better future at some point in the last century. Ninety-nine percent (99%) of the population migrated from Latin America, Mexico specifically. Over time, they planted themselves in this land where the success of agriculture in the desert became an admirable scientific miracle for the crops that abound as well as for the strength and resilience of the people who work the land and are now deeply rooted in this community. Today, ninety-two percent (92%) of the population speaks Spanish. Over seventy percent (70%) of the population has less than a high school education and forty-nine (49%) of the population lives below the poverty level with a median household income of $26,592. They go to local and state representatives seeking support to help them improve access to basic infrastructure and services such as electricity, safe drinking water, drainage and pavement. However, their pleas for help go unheard time and time again. Everyone around them seems to be deaf and blind to what is happening to them and their children. Some of the community leaders are facing eviction and other forms of intimidation yet they remain strong and unafraid. When they should be bitter and outraged, they speak passionately and poetically about human rights and the wrongs perpetrated against the community. When they should be aggressive and skeptical, they talk about respect and dignity. When they should be greedy and protective of what they have, they willingly share their bottled water and food with others. When they should be exhausted from working so hard, they volunteer more. Action by action, they demonstrate what it means to be a caring person and collectively embody courageous indignation.